Nice work, Peter. Yes, let's hope that all these writers get more attention with the LOA edition. I've read at least three of them and enjoyed them a lot. Bravo! I'll be buying this one. Thanks! 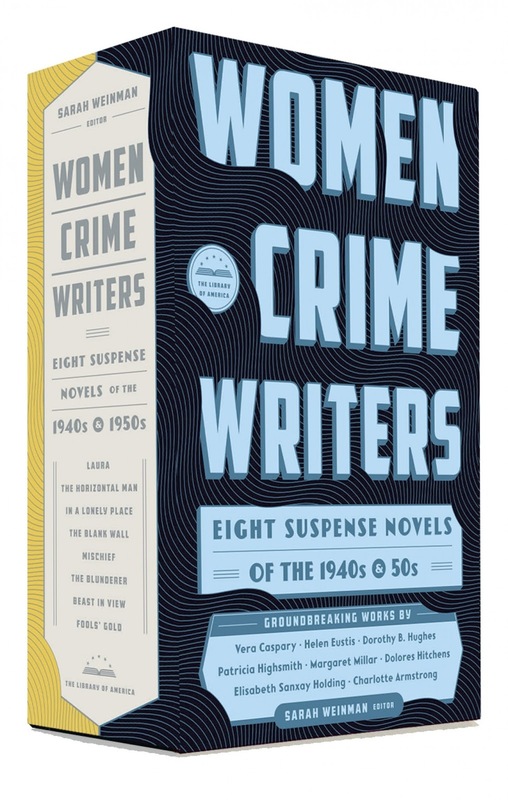 Seana, i'll take for granted that Highsmith is one of the one's you've read, and i have vague memories of having discussed Charlotte Armstrong or Dolores Hitchens around or during Bouchercon in Long Beach. And the collection seems to be getting lots of attention. A bouquet to the Library of America for its page that properly calls this collection a "boxed" rather than the lazy and, presumably, ignorant "box" set. R.T., there's some good stuff in this set. 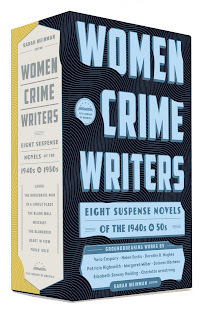 That Sarah Weinman is to be congratulated for her hard work promoting these writers. Highsmith is not one of the ones I've read, unfortunately, though I've seen at least a couple movie adaptations. But I did read Hitchens around Bouchercon last year and enjoyed her enough to order another book of hers which somehow never arrived. And I've read pretty much all of Dorothy Hughes. I think I read a Charlotte Armstrong when I was in high school and I'm pretty sure I read one Margaret Millar although it may not have been one of her best because it made no impression on me. Declan Hughes gave this a great review in the Irish Times Crime Fic round up on Saturday. Aha! Thanks; I'll look for it. I know that Declan is a big fan of Margaret Millar's.